The dry, hard facts of a census are made more meaningful if you have a feel for the time. What was happening in people’s lives? What held their interest? What stories were in the headlines? What sorrows did they suffer, individually and collectively? It was Herbert Hoover’s second full year in office. By now, the Depression had worked it way down to the local level. Demand for the products of Cliffside Mills had dropped dramatically, and so had the demand for cotton. Credit was quickly drying up. Although a few local news reports referred to banks closing and mills curtailing hours, not much was made of the times being especially hard. Hadn’t our millworkers and farmers always endured a hand-to-mouth existence? It seems our people were living much as they always had, pulling together and surviving. We examined all Forest City Courier editions of 1930 for the events occurring in and around Cliffside, that might give us insight into our forebears’ happiness, hopes and hardships. All during that year the Courier contained a page called “The Cliffside News,” edited by B.E. Roach. Because Roach was very much involved in the affairs of the Baptist church—he was music director—a large part of his reporting covered in minute detail the most recent sermons delivered at both our churches. But he also wrote of the marriages, wrecks, funerals and other events of the town, most of which we’ve included here, along with other facts of the time. The Big Story of that year in Cliffside was the Stephens Revival. Surely, neither before nor since, in such a small place, have so many attended religious services over such a period of time, in the outdoors, in the depth of winter. There was over six weeks of daily day-and-night services. Perhaps hard times were having a greater effect than we might think, and people, more than normal, were looking upward, drawing on their faith to sustain them. Check out each month for a cursory glimpse of what passed for news in our little town. None of it earth-shattering; some of it might spark your interest. Some entries have a link to a longer article or collection of articles. (All are listed on the News Room page). If you’d like to bone up on the culture and politics of the 1930’s, you couldn’t go wrong with the most readable history of that decade, Frederick Lewis Allen’s “Since Yesterday.” He wrote it in 1940, so he actually experienced the events he chronicles. The new 1930 model Ford is now on display in the show-room of Henrietta’s Asbury Motor Company. It was reported today that, on Sunday afternoon, December 22, a goodly number from various places for miles around braved the snow and icy roads to attend the mass meeting held at the Baptist church for all interested in the coming revival by Rev. George T. Stephens. A number from Spindale were present and testified to the wonderful results of the meeting recently closed there. The Cliffside Mills “treated” all the employees and gave them all of last week for Christmas starting up again Monday, the 30th. Snow began falling this morning getting under headway in the afternoon and the county awoke Thursday morning to view a blanket of “the beautiful” estimated to be 8 to 10 inches deep on the level. Schools were closed until Monday. The Romina Theatre in Forest Citry reopened under new management. It originally opened in January, 1929, and has enjoyed a wide popularity and a good business. The handsome structure was erected by Mr. Walter H. Haynes, of Cliffside, and is a credit to the town and county. The former manager, Mr. C. M. Hughes, made a host of friends during his stay in this city. Mr. Laurence Blanton will have charge of the local filtering plant taking the place of Mr. Jess Smith [who has] resigned. Mr. Blanton has been with Mr. M. O. Proctor at the Cafe. We understand that Mr. J. L. Proctor will assist his brother with the cafe. The ladies of the cottage prayer meetings met at the home of Joe Beason, who has been unable to attend the tabernacle meetings, but greatly enjoyed the inspiring services. Lox Harrill, who was with Mr. G. K. Moore when he received fatal injuries the first of January is home after several weeks at the Rutherford hospital. He spends most of his time in his wheel chair but is beginning to hobble about just a little with crutches. William Howard Taft, 73, former president and former chief justice of the United States, died at his home today in Washington, D.C. He was a one-term president, from 1909 to 1912, and was succeeded by Woodrow Wilson. A radio device whereby a garage door may be opened by pressing a button in an approaching car has been invented in Switzerland. At Steins, a popular department store in Forest City: Men’s Blue Work Shirts, full cut, triple stitched, special for 49 cents; Men’s dress Shoes, new spring styles, all leather, standard brands, sale price $2.95; Men’s Union Suits, while they last. Extra Special. 49 cents. The Cliffdwellers String Band, of Henrietta-Avondale, gave an enjoyable program over station WSPA, Spartanburg, this afternoon from 4:15 to 5:15. This program was given under the auspices of Hightower and Matheny, Morticans, of Avondale, and consisted of twelve string band numbers and skits. The members of the string band were Dewey McDaniel, violin; B. C. McDaniel, guitar; Paul Jackson, mandolin; O. T. Jackson, guitar; Eugene Wilson, mandolin. The program was opened with a number, after which Mr. Hightower read “Hoover’s Prayer,” much to the amusement of his many listeners. Other numbers followed, with occasional dialogues, etc., by Mr. Hightower and other members of the chorus. The people of Cliffside and this entire community are looking forward to Thursday night of this week when the Stephens party will be here to hold a “farewell” service at the tabernacle. The men are asked to bring along their hammers and wrecking bars and after the service the seats and the platform will be taken down. We understand that there will be several here for this service from Spartanburg, S. C., where the Stephens party will begin a series of meetings April 13th. Although he had frequently appeared on radio programs since 1922, Will Rogers began his own regularly scheduled Sunday evening program on this date. He was immensley popular, the Jon Stewart of his time. There’s no doubt his show was a hit in the 56 Cliffside households equipped with a radio. Mr. A. L. Campbell, who with his family have lived here for the past twenty years, had been ill for several weeks, but had not been confined to his room until a day or so before he died today His passing came as a shock to his friends and loved ones. At a meeting held tonight in the school building at Avondale, a Rutherford County Textile Baseball League was organized. The league is composed of the following clubs: Alexander; Avondale, Caroleen, Cliffside, Henrietta and Harris. The series will open Saturday, May 3rd, at 3:30 p. M. Another meeting will be held at the Avondale school Friday night of this week when schedules, by-laws and lists of players will be submitted. The clubs will use home boys exclusively and will have no hired players. Clinton Eastwood, Jr. was born in San Francisco, California. One day last week the writer was walking up Main street early in the morning and met a woman and a little boy walking in the opposite direction. The woman kept walking down the street, but the little boy stopped the writer and asked if he would not give him enough money to get them something to eat stating that they had had nothing since the day before. We questioned the boy who seemed a very intelligent lad. He stated that they were en route to Charleston, S.C., from St. Charles, Va., and that his father had left them and went away with his sister-in-law; his brother’s wife. The little fellow told a straight forward story and though questioned all along he stuck to his story. After getting something to eat they continued their way walking toward Spartanburg. Every little while something occurs to show how others suffer for the perfidy and wrong-doing of others. The woman did not speak and seemed rather ashamed, walking on a distance where she waited for the boy. Of course one never knows when a case of this type is really worthy of aid, and yet when one sees a woman apparently destitute and weary of trudging the highways, as in this case what can one do other than pity and help if only a little? The house occupied by Mrs. A. L. Campbell was found to be burning on the roof just before noon today. The volunteer firemen soon had two lines of hose playing on the fire, and as most of the furniture under this part of the roof was moved, no great damage was done except to the roof. Tuesday afternoon of last week it rained here, and we are told that just above town there was some hail as was also south of town about Buck Shoals school. On Thursday afternoon we had another big rain with just a little hail while around Buck Shoals school about three miles from town there was a hail storm that would have proved quite destructive to crops had it come a little later. There is a “wash” or gully near the school which passed under the highway through a culvert. It seems the hail and rain fell so fast that the culvert was over taxed and the water and hail that was washed into the hollow above the road rose almost to the top of the bank. The hail filled the hollow to within a few inches of the road bed, and as stories began coming in that hail was three feet deep over there, people began going over to see it. Some were doubtful, but pretty soon began coming back with baskets of large hail. A lot of trash drifted in with the hail and a man told the writer today (Monday) that he raked back some of the drifted trash and found plenty of hail there almost as large as when it fell last Thursday. This sounds almost equal to some fish stories we have heard,but we cannot doubt this man’s word. The world’s tallest man-made structure (at the time), New York City’s Chrysler Building, opened to the public. Every fourth Sunday morning the service is planned especially for the young people and last Sunday morning the pastor read Job. 1 and based its message on the 6th verse. His subject was “The Weavers’ Shuttle.” Rev. Hunnicutt had on the pulpit three shuttles and a pick stick, and bobbins of white and colored yarn. One was a new shuttle that had not been used, another was a well worn, though good and serviceable shuttle, while another was splintered and showed a number of strands of yarn that had been torn from the warp. Not only was the message and applications very interesting to the young people but to the older ones as well. He showed how that no matter how many times the shuttle passed through the warp, unless there was something in it the time and motion was all lost. He appealed to the young folks to see that their hearts were filled with love and devotion for God and to make themselves good shuttles in God’s plan for weaving their lives. In speaking of the pick stick, Rev. Hunnicutt showed how the shuttle operated between two opposing forces just as we live and die between two opposing forces—good and evil. Occasionally astronomers tell of some new planets, constellations, etc., appearing on our horizon. Recently a new constellation appeared here on the athletic horizon. It has been christened “The Cliffside Midgets,” and is a baseball organization composed of the little boys whose names and positions on the diamond are given here as one of the “Midgets” gave it to us: Colvin, c.f. ; Hendrick, r.f. ; Morris, s.s.; Price, 3-b. ; Hughes, 1-b. ; Splawn, p.; Horne, l.f.; Hawkins, 2-b. ; Jackson, c.; Shuford, c.f., sub. ; Padgett, r.f.,, sub. ; Hughes and Splawn alternate as pitchers. Henry Hughes is also coach and David Colvin is manager. Dr. J. C. Mills of Rutherfordton began his duties here with the drug store this morning. Mrs. Mills, who is at present in Charlotte, will arrive next week. They will occupy the house recently vacated by Dr. and Mrs. J. C. Hord. Dr. J. S. Rudisill, formerly in charge of the drug store here for several years, now located at Forest City, has been helping out with the prescription work since Dr. Hord moved to Maiden, N. C. We extend to Dr. and Mrs. Mills a hearty welcome to our town. Jack Blanton, Cliffside Junior lightweight, takes another shot at “Kid Belk,” of Charlotte (who beat him to a decision once before) next Friday night, July 25, at the Rutherford county fair grounds. This fight will be scheduled for eight rounds and will be for the junior lightweight championship of the Carolinas. Four other good fights are on the card. Come out and pull for a Rutherford county boy. Stepping into the bank this afternoon we heard a lot of hammering in the room directly overhead and when we went up to investigate we found workmen busy in Dr. Robertson’s dental office, remodeling and installing new equipment including an X-ray machine. Some party or parties took an automobile belonging to Mr. Myles Haynes from in front of his home some time last Friday night [August 1]. It was found next morning near Forest City. The annual awarding of prizes for the yards of Cliffside were given tonight at the hall. The committee, according to the many comments, had the hall decorated more beautifully than ever before and all available seats were filled with many in the windows and standing. Music was rendered by the McDowel string quartet. The awarding of prizes this year came as a surprise to many for they had thought because of the textile depression that perhaps there would not be any prizes given this year. “Jack” Blanton, Cliffside’s 130-pound boxer is working hard for a fight he has in view in Charlotte about September 1st. He can be seen on the road every morning about 6:10 o’clock running a few steps to build up his wind. Blanton believes in hard work and clean living, but doesn’t get enough bouts to keep him in trim. However, he is anxious to go should anyone call. Jack believes that the proper amount of exercise should be had to keep the mind working clearly. Since he likes boxing, he chooses that for his exercise. The people of Cliffside, especially the young people, are looking forward to next week when the school will open here. They will meet at the school building Saturday for classification, so as to be ready for real work Monday morning. There will be perhaps five or six new teachers this year and we regret that we cannot get the list in time for publication this week. Mr. Robert James attended the convention of Spanish-American War Veterans at Philadelphia and reports a great time. The annual old time singing will be held at Cliffside Baptist church at 2:30 Sunday afternoon, September 14th. A few years ago an old time singing was held here and at that time the late Mr. G. K. Moore suggested that it be an annual affair meeting the second Sunday in September. We shall all greatly miss Mr. moore as he was one of the most enthusiastic promoters of the old time singings and always joined in singing the old time songs. The public is cordially invited. Be sure to bring your books. “Christian Harmony” is the title of the old book used at these meetings. While the old time songs will be featured and all the time necessary will be given these numbers, it is suggested that occasionally a quartet, duet or chorus of more modern music might be rendered while the others rest a few minutes. Please tell your friends and do not forget the time and place, Sunday September 14th, 2:30 p. m., at Cliffside Baptist church. 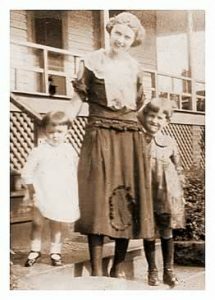 Miss Hazel Haynes, daughter of Mr. and Mrs. G. C. Haynes left to begin study at Duke University, and Mr. James Padgett left to resume his studies at State College at Raleigh. Mr. and Mrs. B. B. Goode moved here from Henrietta last week and have taken a house on North Main street. President Hoover Principal Speaker at SesquiCentennial Observance of Revolutionary Battle. This afternoon, a wedding ceremony beautiful in its simplicity was solemnized at the Baptist pastorium, when Miss Eloise Sorgee became the bride of Mr. Jesse Honeycutt. Only members of the families of the contracting parties were present. Rev. J. A. Hunnicutt, their pastor officiated and after the ceremony the happy couple were escorted to their new home on South Main street where they immediately set up house-keeping. We join their many friends In congratulations and best wishes. Mrs. Honeycutt is the daughter of Mr. and Mrs. J. H. Sorgee of Cliffside and is a very charming young lady active in the work of the church teaching the Fidelis class of young ladies at the Baptist church. Mr. Honeycutt is the son of the late Mr. Weldon Honeycutt and Mrs. Honeycutt of Cliffside and is one of of the town’s finest young men. He, too, is active in church work teaching the young men’s Berean class. Mrs. George Tate Instantly Killed At Noon by Mentally Deficient Husband. The Cliffside Mills funeral establishment has purchased and just received a beautiful four thousand dollar ambulance and hearse combined that is modernly complete in every detail. The people of Cliffside are all glad that the Mill conditions are improving. It has been necessary to operate part of the mills at night for the past few days. Fires Bullet Into Brain. Health Blamed. The grounds in front of the School building are being beautified by the planting of shrubbery and planting grass which when finished will make it one of the most beautiful in this section. A number of relatives and friends attended the funeral of Dr. Baxter M. Haynes at Spartanburg, S. C., last week. Dr. Haynes practiced his profession here for several years. Later he was stationed in Cuba where he won honor combating Yellow Fever and Malaria. Dear Santa, I am a little girl nine years old. I am in the fourth grade. I like my teacher very much. I just want to tell you of two things I want you to bring me for Christmas. I want you to bring me the book about Richard E. Byrd that flew over the South pole. We saw the moving picture about him at Forest City. We heard the ship when it brought the men back from down there. We heard it over the radio. He sure was a brave man wasn’t he. I also want you to bring me real wrist watch that will run. I also want you to think of the poor children who do not have anything, I want you to take the rest of the things which I wanted—and give them to some poor children who do not have anything. I want you to make them happy at Christmas time. The big snow seemed to make the majority of people late for Sunday school last Sunday. There were about 396 when classes assembled, but others came late. Still others came for the preaching service. It. was bitterly cold and somehow the furnace did not work just right and as a result the church was about ten degrees cooler than usual, registering 60. The closing exercises of the Sunday school was curtailed and the pastor only spoke for about fifteen minutes, but he brought to us a fine Christmas message in that time. Mrs. Hawkins Beauty Parlor has been doing a rushing business and she has added to her equipment another new hair dryer. Among the students at home for the holidays are Miss Louise Lemmons, Columbia Bible college; Miss Georgia Blanton, Boone; Misses Rosa Mae and Margaret Haynes, Meredith College; Miss Edna Love, Duke; Miss Virginia Mae Love, Chapel Hill; Mr. and Mrs. H. H. Jenkins, Chapel Hill; Mr. James Padgett, State college; Mr. Robert Robertson, Columbia Bible college. Mr. and Mrs. Myles Haynes have moved to Avondale.